Dimitri Andreatidis has been named Hino’s new national marketing manager following the departure of Sarah Rosales. Andreatidis joins Hino following a four-year stint as head of marketing at Peugeot and Citroen. He spent the prior decade working in various roles at Toyota Australia including passenger vehicles, national marketing manager for CBU (completely built up) passenger cars and marketing manager for four-wheel-drive and commercial vehicles. Rosales was in the role for three years and moves to Toyota Finance Australia as national retention manager. 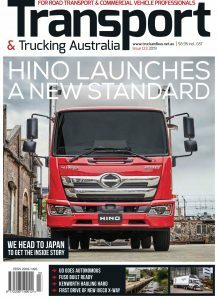 Hino’s general manager for brand and franchise development, Bill Gillespie welcomed Andreatidis. “Dimitri’s appointment adds new energy, passion and innovative thinking to an already very experienced senior management team at HMSA,” he said. “While Sarah’s departure is obviously a loss to Hino, we fully support Sarah’s desire to advance her career, which this opportunity allows her to do. The good news is that she will remain within the wider Toyota family,” Gillespie added. In her tenure, Rosales is credited as being a driving force for the regeneration of the Hino brand through initiatives such as the customer connect program, the brand’s first national sponsorship through Supercars and the introduction of a dealer marketing centre. “Sarah leaves a strong legacy within the Hino business at an HMSA level and across the dealer network, and I want to personally thank her for her dedication and passion in her role at Hino,” Gillespie said.